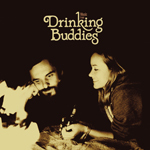 For the past several months, the movie Drinking Buddies has been on my “must see list”. When I finally saw it recently, I absolutely loved it! A slow moving yet utterly charming and funny movie. I next to never buy soundtracks, last one was Billy Elliot(!! ), but I did for this one. Something about the music just fit perfectly with the whole feel of the movie. And what is the feel? Its summertime BBQs, nights at the lake, and weeknight drinking beers in half empty pubs. Broken up into three parts, the soundtrack starts off with the high falsetto of Richard Swift’s “Lady Luck” followed by the upbeat indie rock of Cayucas and the 90s ska-like horns of Rubblebucket. The middle section is dominated by singer-songwriter (mostly) acoustic ballads, the centrepiece being the nine minute wonder “Soon It Will Be Fire” by Richard Youngs. Here We Go Magic appear late with the terrific “How Do I Know” before Canadians Plants and Animals close things out. If I had discovered this a few weeks ago, it surely would have been in my top ten of the year.